So you weren't born with Brooke Shields' eyebrows. Celebrities such as Cara Delevingne and Lily Collins offer proof positive that 2018 is the year of the wow brow. For those not born with eyebrows of note, there's microblading, a form of semi-permanent tattoo that, instead of a tattoo gun, uses tiny needles that make up a small blade to deposit pigment in tiny, hairlike strokes under the brow skin. 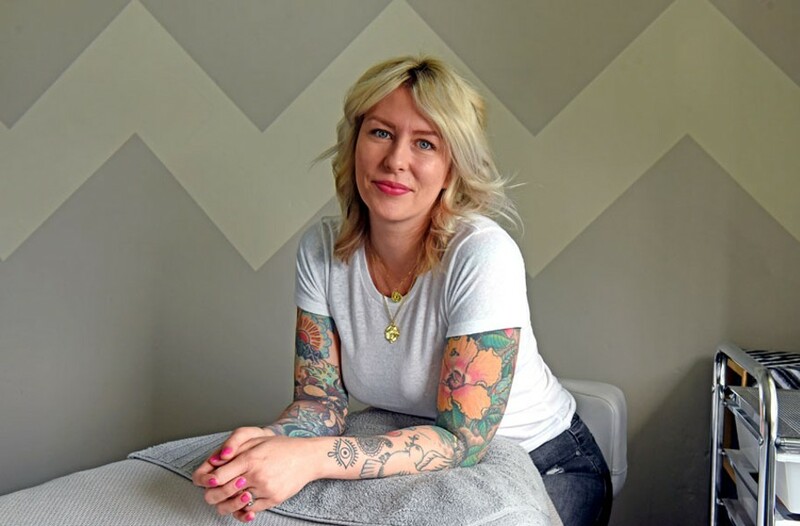 Permanent makeup artist and aesthetician Jade Orr of Blade and Lash calls microblading, "high maintenance so you can be low maintenance." While the initial procedure takes three hours, much of that time is devoted to determining the shape and color of the brow in consultation with the client. Orr reminds clients that microblading is a process, telling them that they're about to embark on a brow journey together. The procedure is growing in popularity because results are realistic and the healing process minimal. Six to eight weeks later, a touch-up appointment is used to perfect the color and add any additional strokes the client wants. Not just for women, the surface scratches that result in thicker, darker brows are attracting customers of all genders. According to Orr, "There's always room for improvement when you're talking about eyebrows."